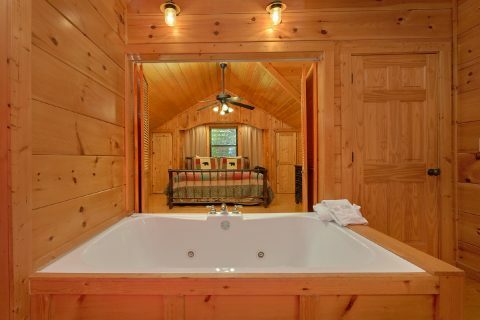 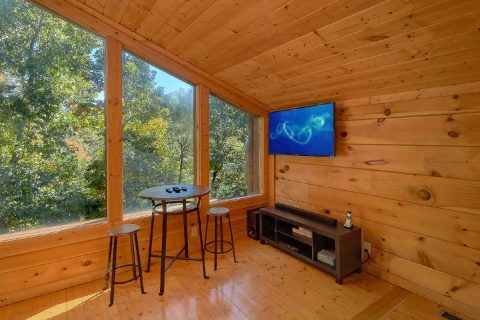 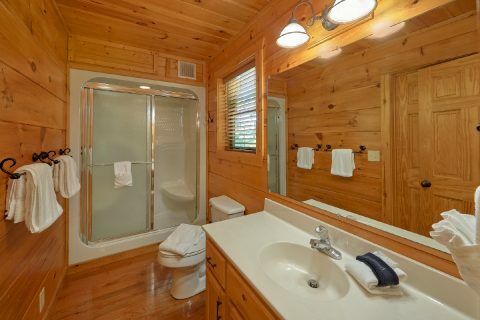 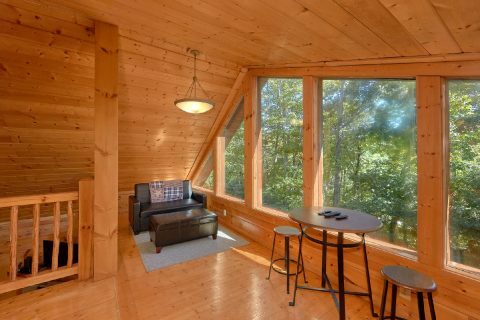 Nestled in the Great Smoky Mountains just off of Wears Valley road, you'll find "Bearfoot Dreams," a 3-bedroom log cabin in a beautifully forested spot! 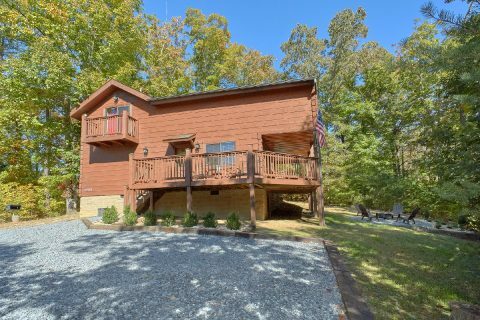 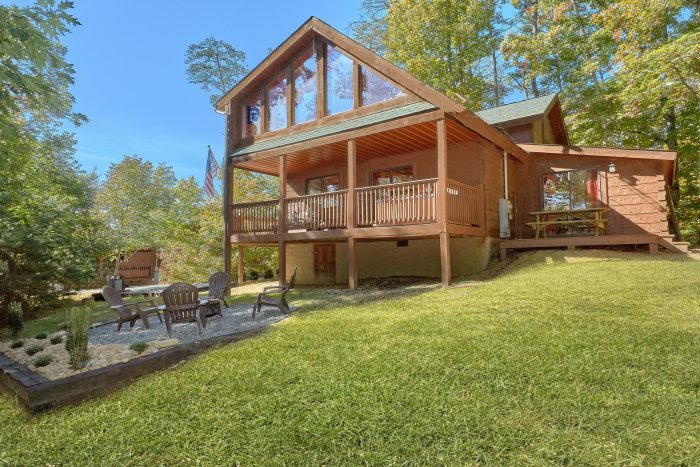 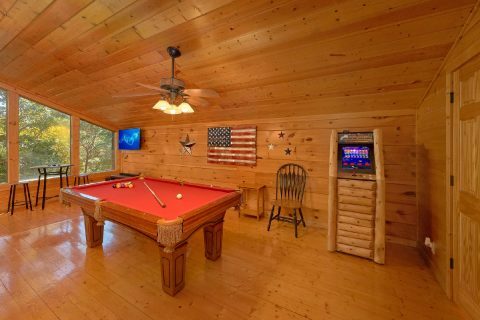 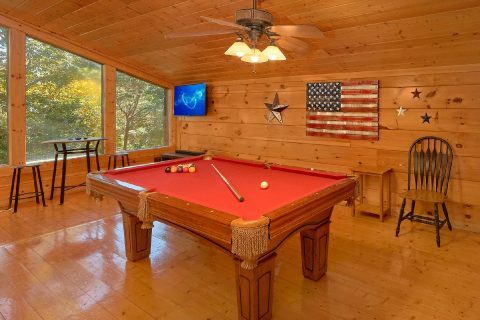 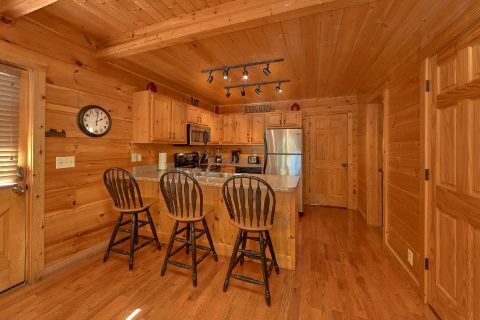 This quality cabin rental near Pigeon Forge, TN sleeps up to 8 guests in comfort, so you can easily bring the whole family to the mountains for your next getaway! 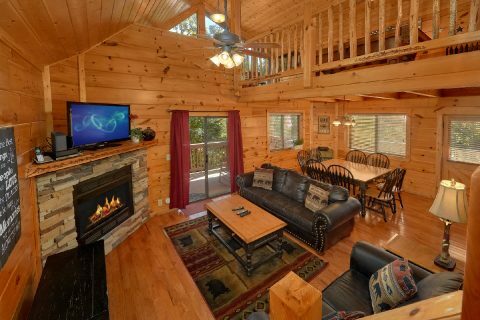 Better yet, this rental keeps you close to the best sights and attractions. 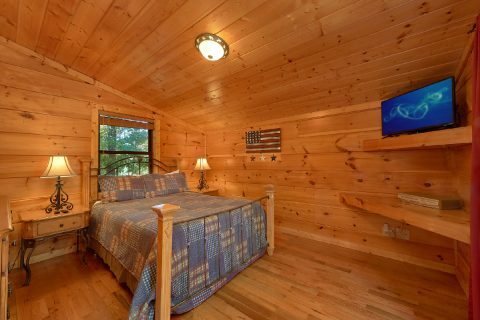 Dollywood Theme Park, the historic Old Mill, and The Island in Pigeon Forge are only a short drive away. 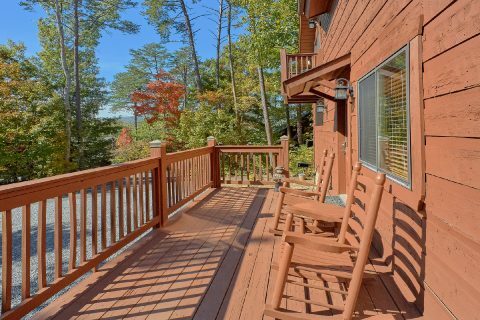 Additionally, Downtown Gatlinburg and the Great Smoky Mountains National Park are also within easy reach. 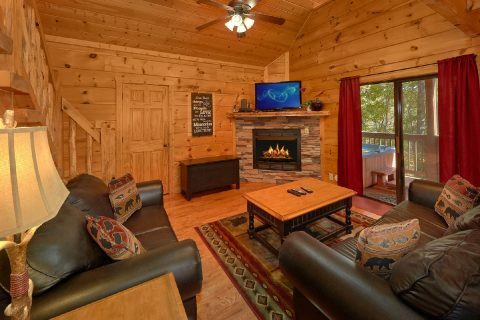 Step into the main living area of your cabin to unwind with some television while you sit by the cozy, stacked-stone gas fireplace. 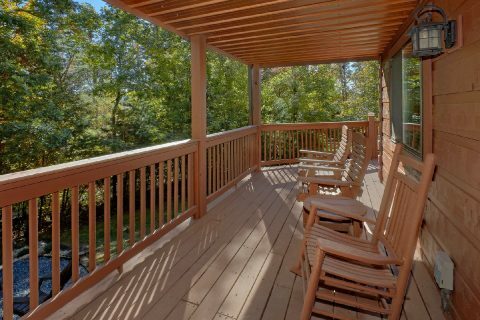 For kicking back in the great outdoors, simply head out to the covered deck to soak in the hot tub or sit in a porch rocker. 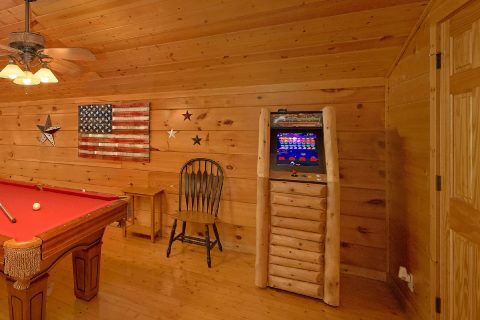 You'll find fun and some friendly competition in the upstairs game room complete with a pool table. 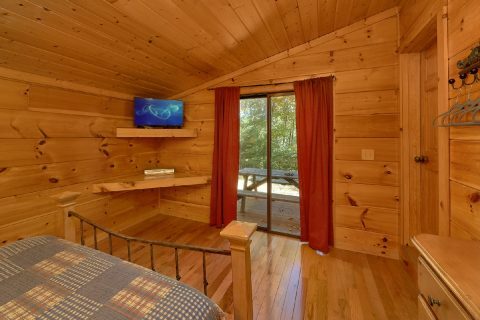 A television in this room has the game hookups necessary for a game console. 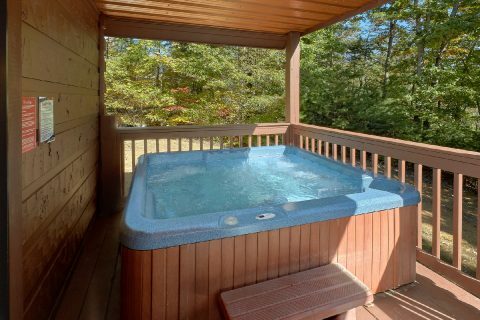 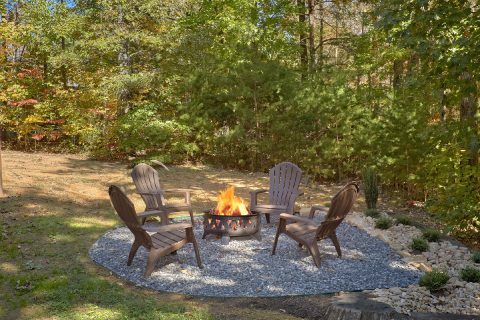 This rental also boasts a small yard area that's perfect for letting the kids burn off some energy during their stay. 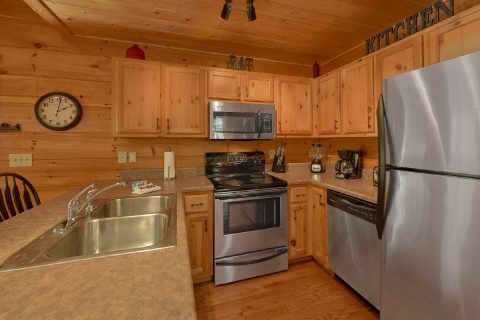 To help keep your trip on a budget, this cabin rental comes complete with a full kitchen and an outdoor grill for making delicious dinners. 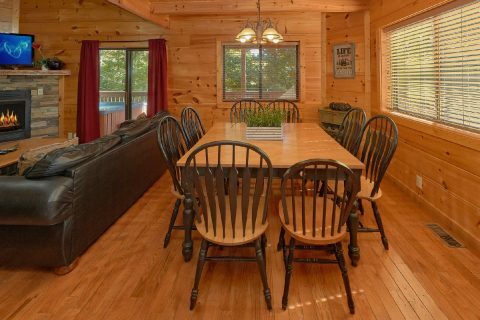 Everyone can gather around the dining table with 6 chairs and the nearby bar with 3 stools for quality time with friends and family. 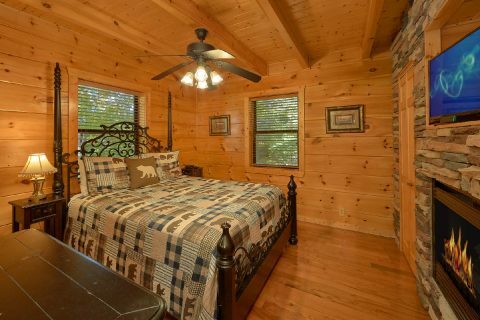 For staying rested during your trip, "Bearfoot Dreams" comes complete with two queen-size bedrooms on the main floor and one king-size bedroom on the upstairs level. 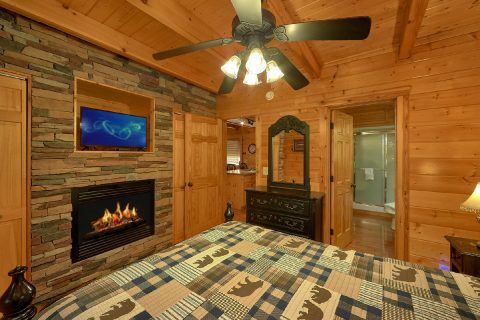 This king-size bedroom is a romantic master suite complete with a private jacuzzi, fireplace, and access to a balcony. 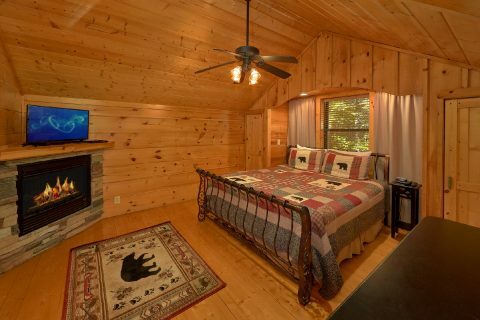 Thanks to a sleeper sofa in the living room, this rental can sleep up to 8 guests in comfort. 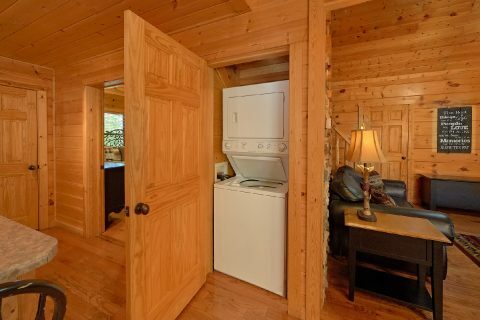 Additionally, guests will enjoy other convenient amenities like a washer/dryer and wireless Internet access. 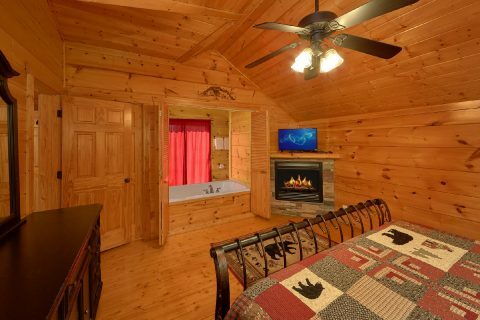 Reserve "Bearfoot Dreams" today with Cabins USA Gatlinburg to earn a special 15% discount on your nightly rate!